I think this is one of the cutest things I've seen in a while. 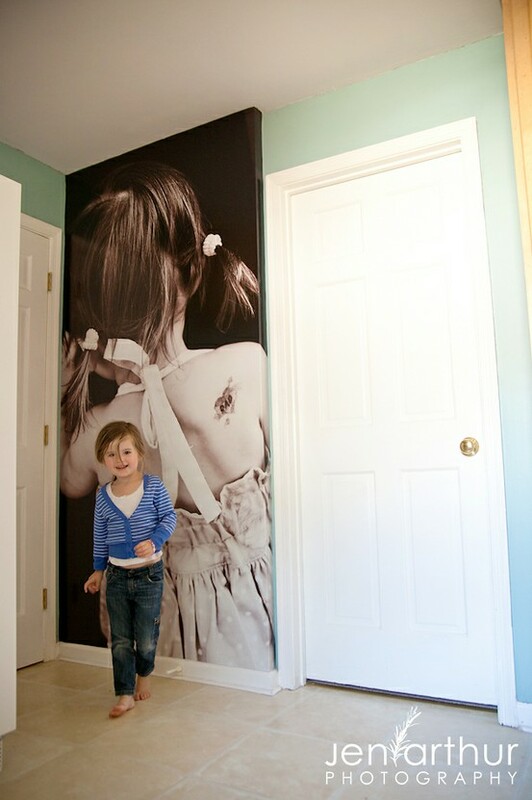 How adorable is this custom wallpaper from a picture by Jen Arthur Photography. The Dad "tattoo" just makes me smile. Sooooo sweet. 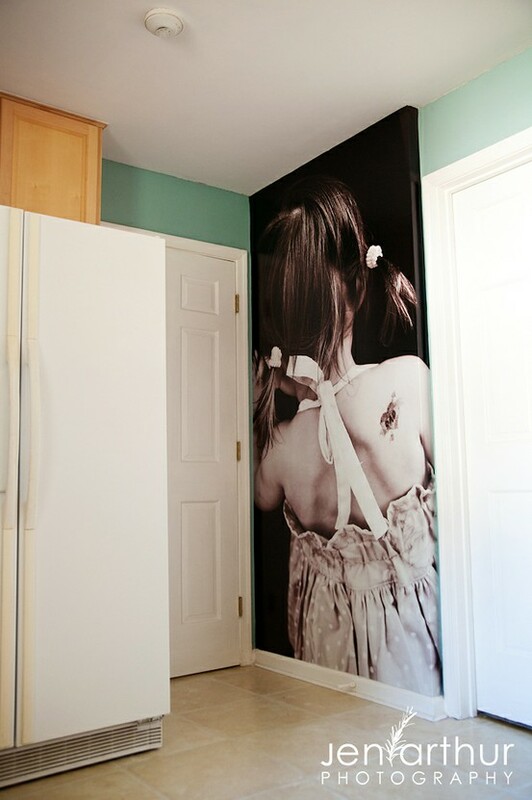 What a fun and interesting way to personalize the walls in your home. If you would like to try something similar in your home. Use on of your own pictures and go here to make your own custom wallpaper. LOVE this! I have the perfect photo to do this with in my daughter's room! On it! Love it!! Would look great in a kids play room too..